Anand 'Kav' Kaviraj continues to find some amazing discoveries while reading comics from the Silver Age of Comics. Today, Kav discovers some problems with Prince Namor (a.k.a. 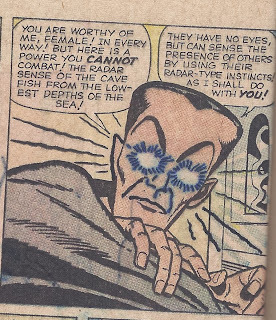 the Sub-Mariner) in The Fantastic Four #9. which was developed by the classic team of Stan Lee and Jack Kirby. More absurdities from The Fantastic Four #9! We see Sue Richards protecting the Sub-Mariner who says, "You've never ganged up on anyone before!" HUH?!? The FF always 'gangs up' on their foes!!! A true WTF. 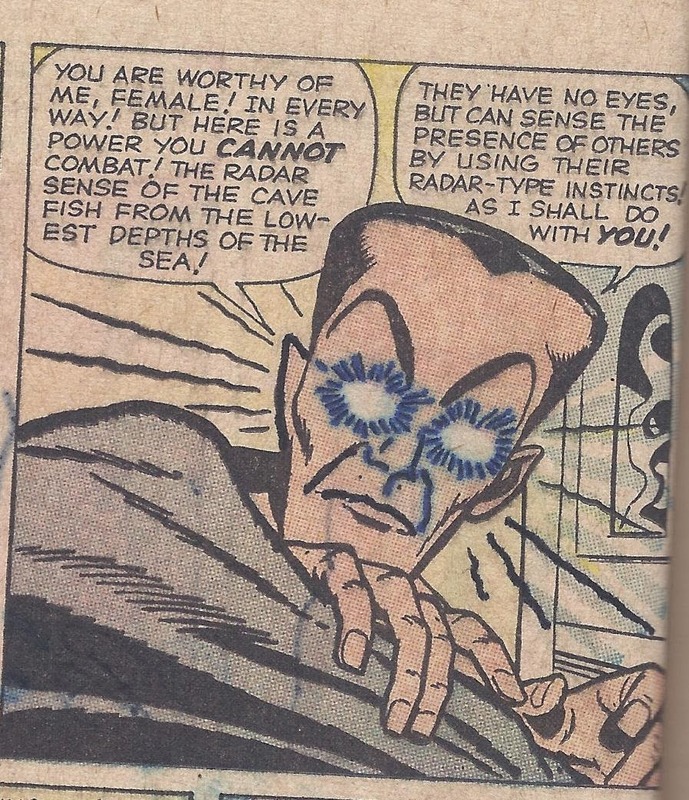 Also we see the Sub-Mariner suddenly has 'all the powers of sea creatures' including the 'radar sense' of the 'cave fish'. Really? And there's a fish that emits RADIO WAVES? Does his body contain TRANSISTORS??? Another WTF. Then the final panel-the Fantastic Four movie comes out-even though the 'movie' was a scam by Namor to trap his enemies, and NO scenes were ever shot! WTF??? Stan Lee-you're KILLING ME!